—A world of aristocratic luxury awash in contemporary design is set amid 100 acres of public parkland surrounding an English estate just south of Manchester. 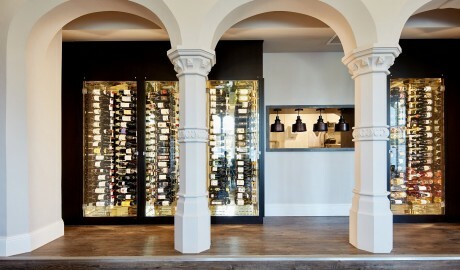 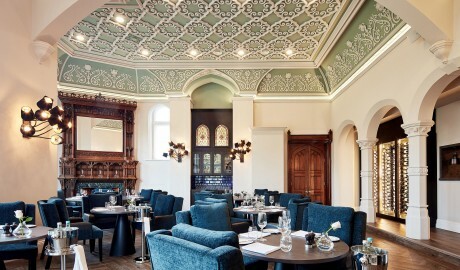 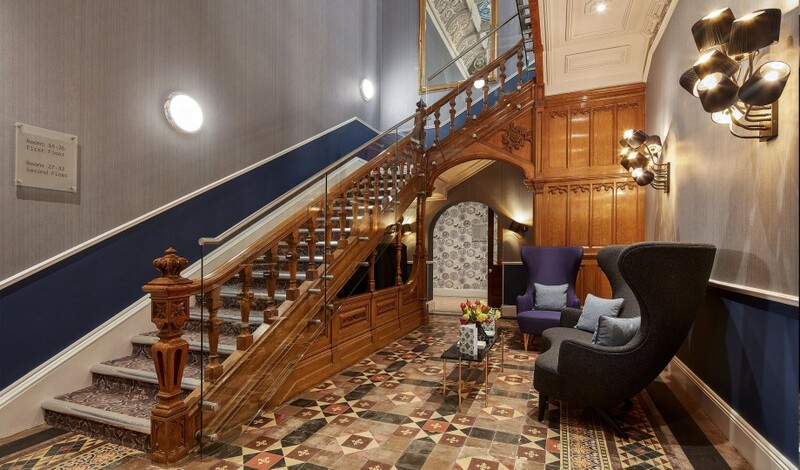 Oddfellows On The Park is born from a meticulous renovation of Bruntwood Hall, a 19th-century Victorian mansion just south of Manchester, United Kingdom. 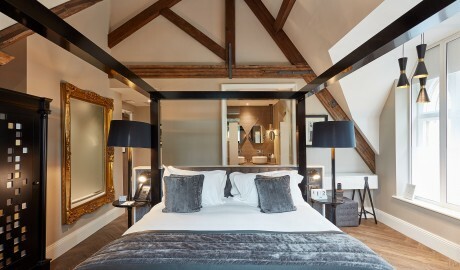 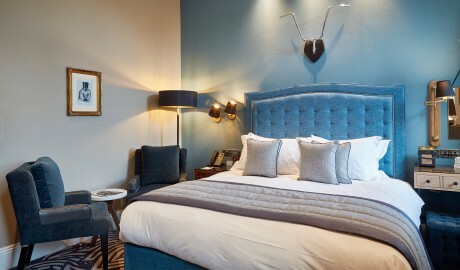 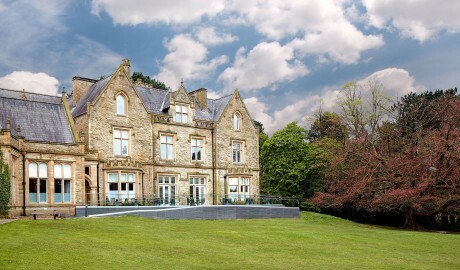 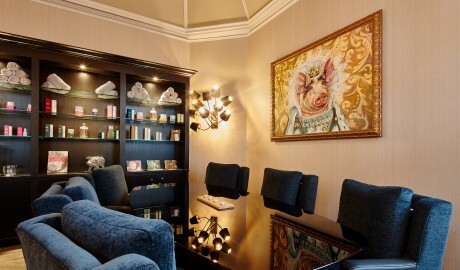 Set in Cheadle’s Bruntwood Park—consisting of 100 acres of mature oak trees, woodlands, ponds, and lawns—the hotel not only offers an idyllic English manor retreat, but is only 15 kilometers from the center of Manchester, home to arguably the UK’s most hippest cultural and commercial corners. 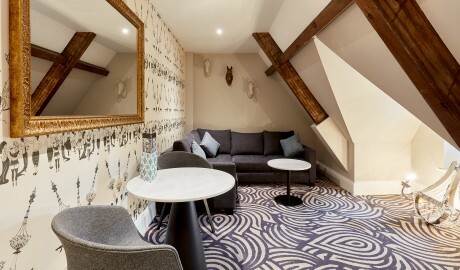 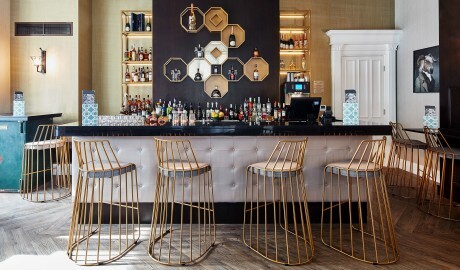 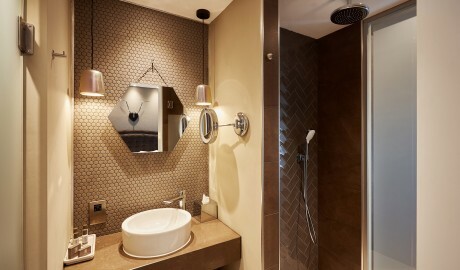 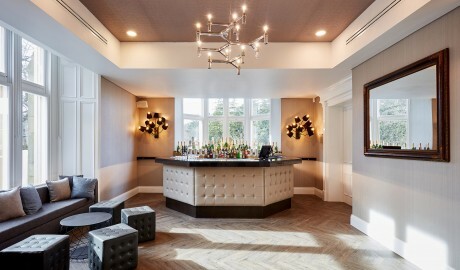 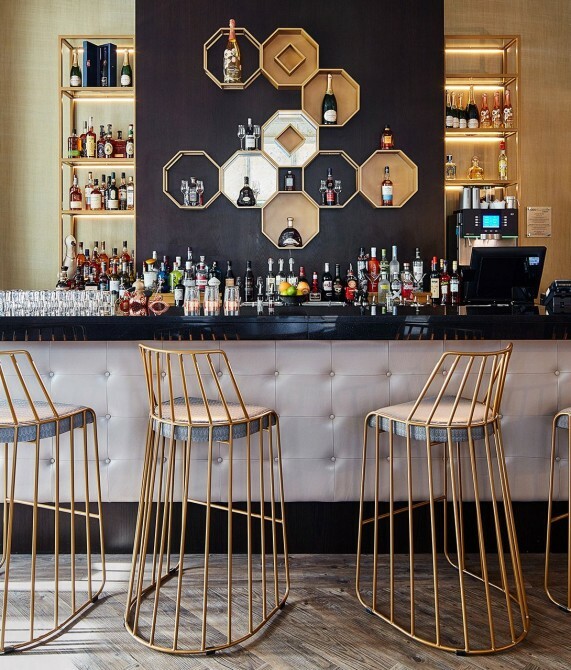 As well as offering on-site activities, such as archery, golf, and a BMX cycling track, the hotel houses a restaurant in the Hall’s old ballroom; a wood-paneled cocktail bar clad in tweed and tartan, with the building’s original safe as a table; and a spa called The Pigsty, with a “mudroom” to pamper guests. 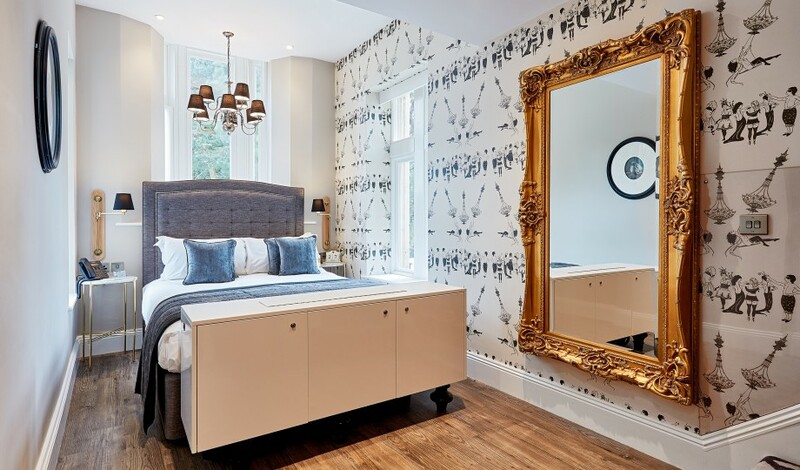 The rooms and suites—with views of the surrounding parkland—each boast a unique design, many with original Victorian fireplaces, ceilings, and architraves that contrast boldly with the playful design pieces throughout the property. 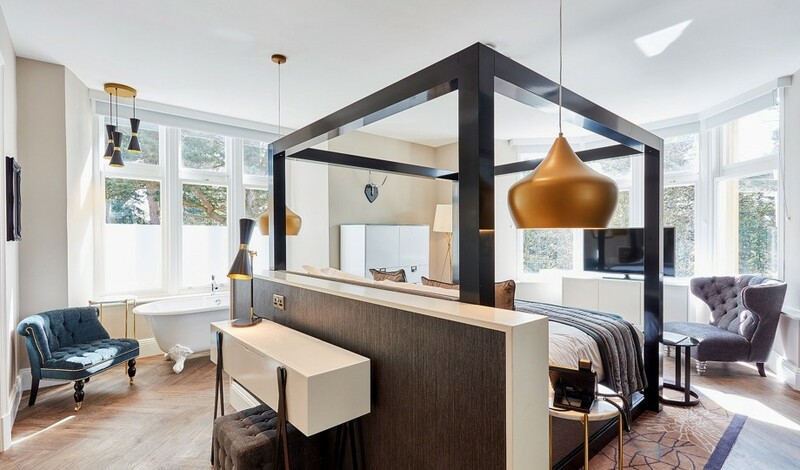 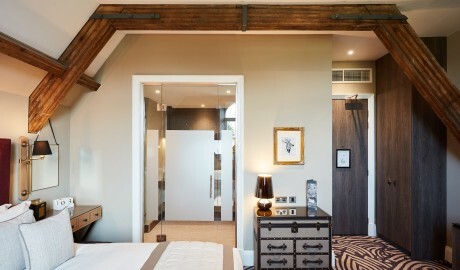 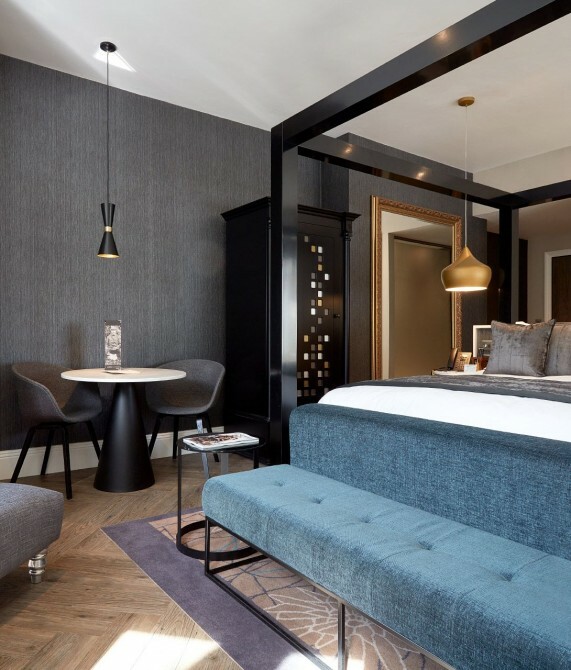 The 22 rooms and suites all offer views of bucolic Bruntwood Park, and many feature original Victorian design elements, such as exposed beams, fireplaces, and architraves. Particular highlights are the loft-style rooms, the mezzanine duplexes, and the three-level Bridal Suite set in the Hall’s tower. 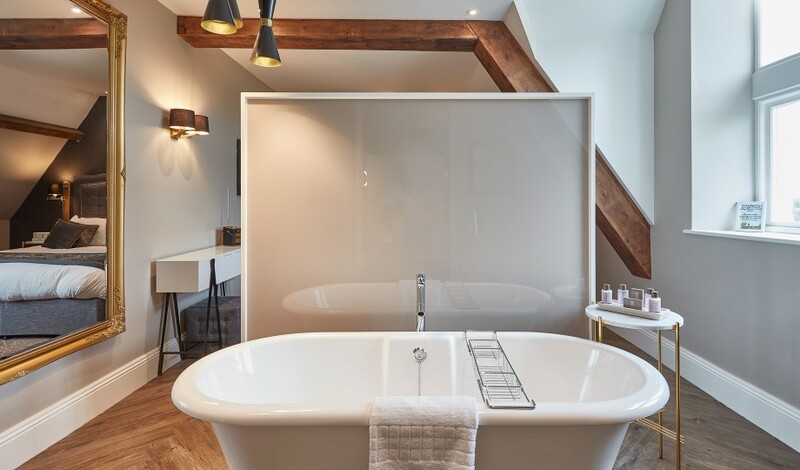 Guests are embraced by the luxury of roll-top baths, huge comfy beds, and sofas overlooking the lawns of Bruntwood Park. 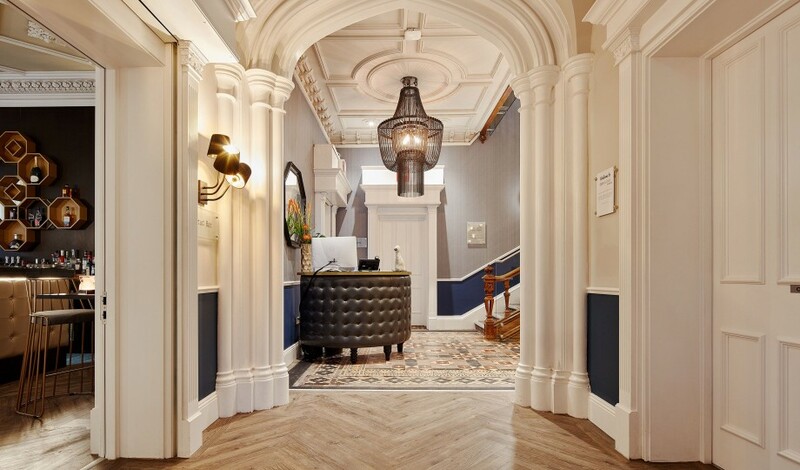 Bringing the building into the modern day, Manchester’s SpaceInvader design studio added artistic quirks and rich colors to contrast the original structural elements from the Victorian era. 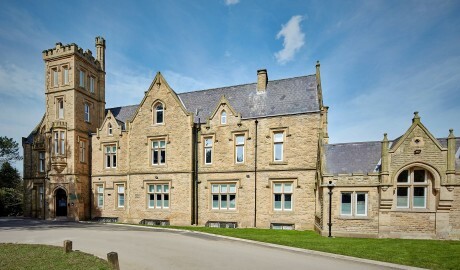 Typical of an English country estate, this grand, sand-hued Gothic Revival building dominates the parkland upon which it sits. Interior architectural delights include ornate ceilings and Victorian fireplaces. 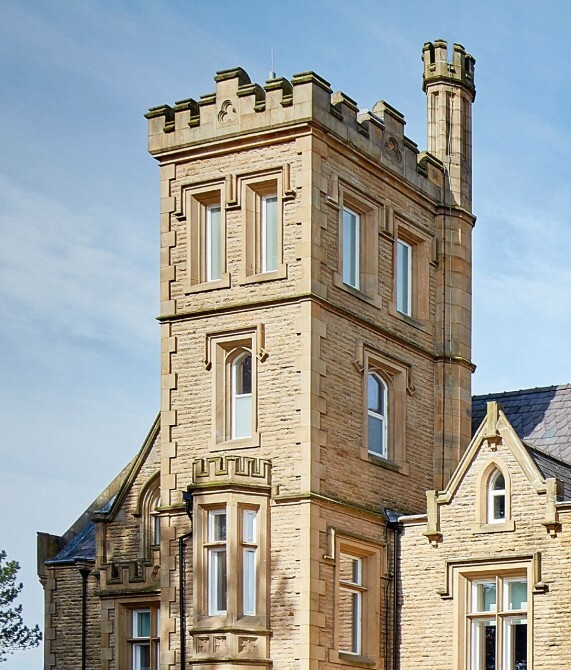 Cheadle’s Bruntwood Park is a 100-acre country estate of mature English oaks, woodland, and waterways just 7 kilometers from Manchester Airport and 15 kilometers from Manchester City Center.